Finding winter nature activities in Texas may seem tough even though our Lone Star winters aren’t always cold. (In fact, as I write this at the tail-end of December the temperature is a balmy 80 degrees!). But the Lone Star actually offers plenty to do in nature this time of year. Bald Eagles (Haliaeetus leucocehalus) typically mate for life, but don’t begin until reaching 4-6 years of age. In 1995, the State Legislature declared Rains County the Bald Eagle Capital of Texas. Since then residents have taken pride in helping visitors get good glimpses of the once-endangered birds. Eagle-spotting excursions via bus or boat take place at Lake Fork Reservoir, where a growing population nests each winter. Back in town, the main festival features events such as raptor rehabilitator presentations & lots of on-site kid-attractants, including critters like baby gators, squirrels, opossums, turtles, & snakes. 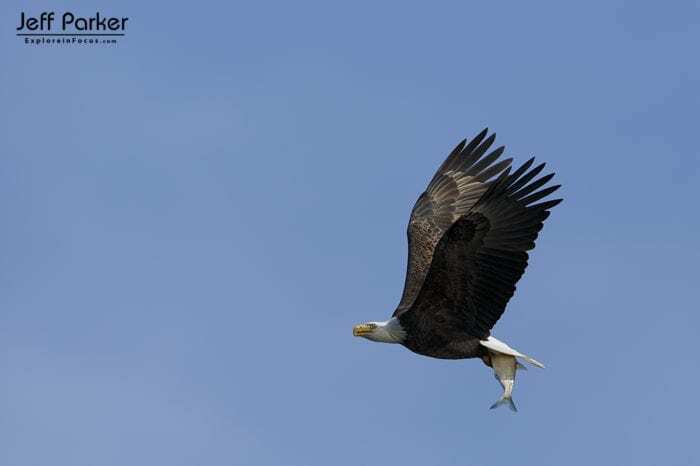 Adults capturing a great eagle image can enter a post-festival photo contest. An amazing spirit of volunteerism—from boat captains, bus drivers, tour guides, organizers, food preparers, & booth operators, to those going out beforehand to count & locate the birds—contributes to this event’s success. This region, especially, attracts Bald Eagles as they arrive each from points north, usually returning to the prior year’s nest to raise their young. Rains County, situated between the bass-laden Lake Fork Reservoir and Lake Tawankoni, provides habitat the birds find especially attractive. The fish-favoring raptors arrive in early-October, usually returning to the prior year’s nest, and stay until early-spring (though some populations continue nesting in-state through July). 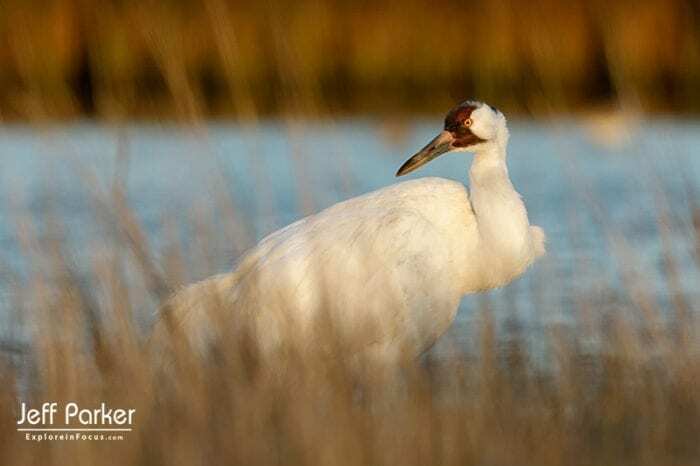 In 1937, the government established Aransas National Wildlife Refuge to protect the wintering grounds of Whooping Cranes (Grus americana), which sat perched on extinction’s edge. Folks come from all over the U.S. & Canada for this celebration. The Canadian connection is especially poignant considering that the Whooping Cranes you’ll spot have also traveled down to Texas from our northern neighbor. The festival features experts from all four of Whooping Crane conservation & reintroduction areas, including Wood Buffalo National Park in Canada’s Northwest Territory. Some of these folks, such as annual speaker, Dr. George Archibald, have as many fans as the birds themselves. Birding trips by bus & boat, photo workshops, field trips, a nature related trade show, children’s activities—including the “Not So Creepy Corner”—& lots more. Visit their website for a list of offered activities. Register online or mail a check using the handy downloadable PDF. Heads up: make lodging reservations far ahead of time; over 1500 visitors show up for this annual event. Winter’s a great time to visit these caves because their inner temps stay a stable 68-70 degrees year-round. Exact temps vary according to cave and location within the cave, but even if a Norther blows in the caves don’t grow cold. 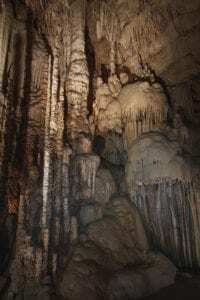 Why does Central Texas have so many awesome caves? About 100-million years ago, during the Cretaceous Period, the area along the Edwards Plateau was home to a warm, shallow sea. With time, layers of limestone imbedded with billions of tiny sea critters built up to form Edwards Limestone. The oldest layer creates the Glen Rose Formation, home to most of what you see here. Fossilized remains and a variety of prehistoric forms of water—from lagoons, to deep sea waters, to flowing rivers—gave these stones a diversity of forms and consistencies. Almost all contain some amount of carbonate. With time, a type of chemical erosion called “karsting” etched “Swiss cheese” characteristics into carbonate-containing rocks to create the unique shapes we see today. Much of the Hill Country’s below-ground topography consists of larger scale karsting, explaining why so many show caves populate the area. These write-ups on Winter Nature Activities in Texas were done by my wife, Mary O. Parker, author of “Explore Texas: A Nature Travel Guide.” The book features nearly 250 of my photos.